This accent table is great in the TV room but may also be useful in the kitchen as extra counter space. 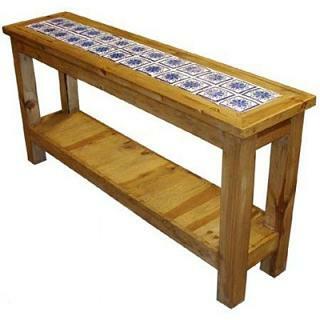 The blue tiled top has a genuine Mexican feel to it. The lower shelf is great to store items.